The Wild Bird Fund needs your help to stop the illegal baiting and netting of wild pigeons in New York City. Over the past several months, the Wild Bird Fund has received reports of a man throwing seeds to pigeons, then netting them and putting them in a van for transport. He has been seen in several locations in the Upper West Side, as well as in Battery Park City. "He is doing this with impunity," says Esther Koslow, spokesperson for the Wild Bird Fund. "It's very much against the law." 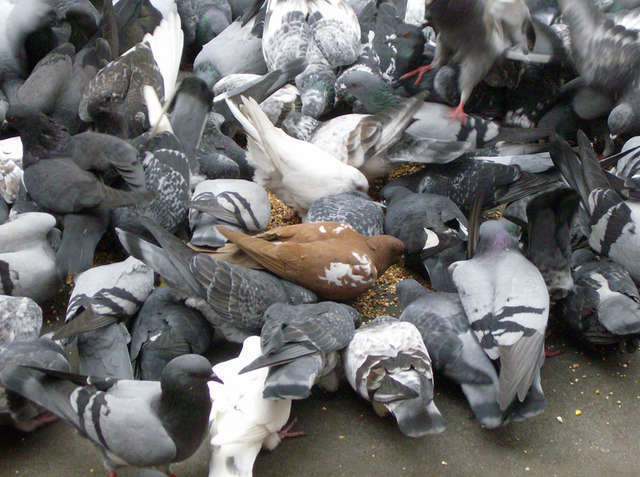 Pigeons, as well as any other wild animal, are fully protected from trapping or mistreatment within any park in New York City, and only the Board of Health, with the appropriate permit, has the authority to remove them from anywhere else in the city. "When people have confronted him, he's just lied," says Esther. "He's said he's taking them to some kind of sanctuary, which doesn't exist, or that he's catching them for the Viola Pigeon Club, which has never heard of him." The Wild Bird Fund believes that the pigeons are being captured and sold to Pennsylvania pigeon clubs who shoot them for sport, so they are working with a coalition of concerned citizens, including Upper West Side assembly member Linda Rosenthal, veterinarian Andy Kaplan and attorney Michael Devereaux to pressure the NYPD Humane Law Enforcement to open an investigation. "We need help from the public to build a record on this man," says Esther. "Everybody has a cell phone. Take a photo, take a video. Keep your distance. Call 911 and get connected to NYPD Humane Law Enforcement. Say pigeon netting is happening again and we have evidence." Without public outcry, Esther does not believe that much will change. "It's very hard to get the general public mobilized about pigeons," says Esther. 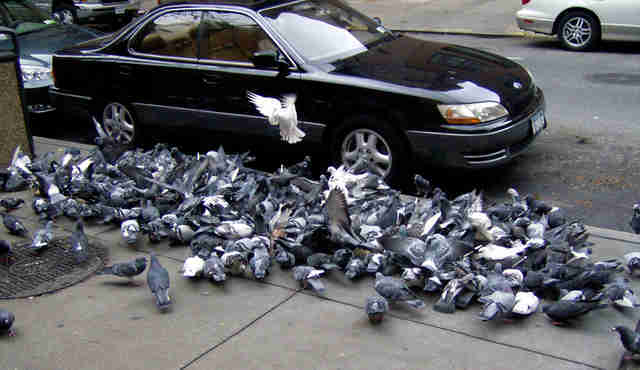 "People think that we have so many pigeons, so what does it matter?" "But any type of cruelty has a corrosive effect, no matter who the victim is. Scientists have shown a direct link between animal cruelty and human violence, so if you think that being cruel to one animal is OK, nothing good can come of that." "Treating animals inhumanely makes you inhumane."